Please Check Back for Possible Rescheduling. Mahalo me ke Aloha! 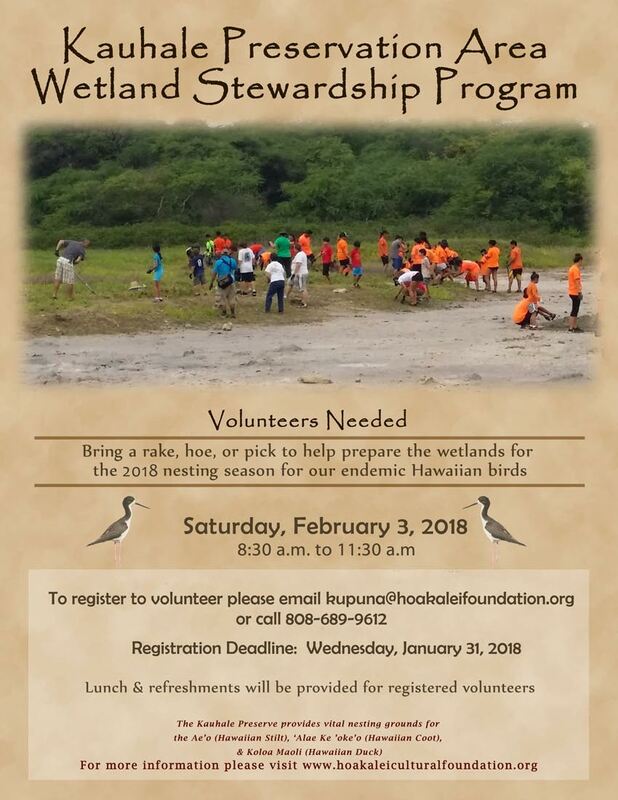 Bring gloves, a rake, hoe, or pick to help prepare the wetlands for the 2018 nesting season for our endemic Hawaiian birds. Lunch & refreshments will be provided for registered volunteers. The Kauhale Preserve provides vital nesting grounds for the Āe‘o (Hawaiian Stilt), ‘Alae Ke‘oke‘o (Hawaiian Coot), & Kōloa Maoli (Hawaiian Duck).